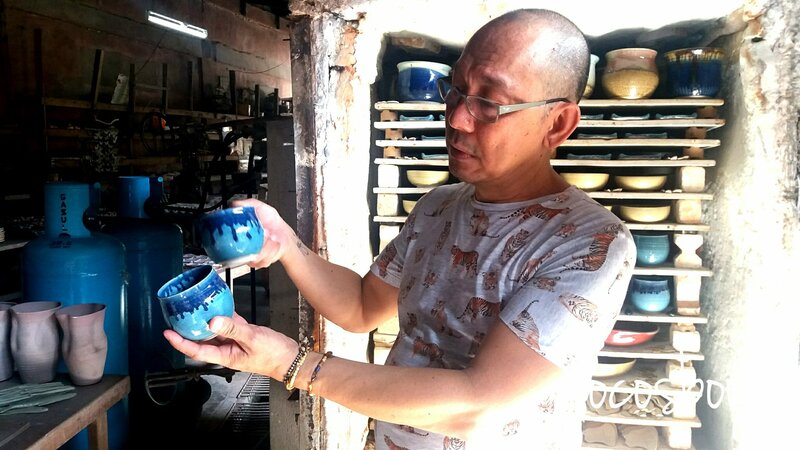 If Ilocanos have Fidel Go in the art of pottery, Augusto Bigyan is also the popular potter of CALABARZON. Ugu Bigyan, now well-known for his stone craft and design is from Tiaong, Quezon province. In fact his name Ugu Bigyan now synonyms to his works. It denotes his art. Visit his home in barangay Lusacan and the impression of his artistry will come in your eyes. The wide array of his crafts are displayed all over his place and amazement will just become a normal reaction on your face. All of his unique pottery craft bearing his signature. His crafts have gone a long way to homes, resorts, hotels and restaurants, making them soundly adorable and amazing cool. His crafts include leaves, animals, birds and fishes, pots, earthenwares, kitchenwares, souvenir items among others. He’s doing this since he was at 20s. And each years of his craftmanship adding also to his legacy in this kind of art. “Arts flourish during Imelda’s time (Imelda Marcos),” he said during interview where he was also flourishing as an artist. He’s decades into this business and said he’s been into hard times when the products are hard to sell. He wants the millenials to appreciate his art aside from art patrons and those loyal to his crafts. But it may be hard livelihood but he continue his potteries because he knows there will always be a time his crafts will be needed. HOW HE DO HIS CRAFT? 1. Mixed white clay together with silica and bullclay. 2. Soak with water for a week or more. The longer the soak the better it is. 3. Drained the water to get the desired consistency of the clay. 4. Mashed very well so no bubbles will occur. 6. Mold to desired design. 7. After molding, trimming and cleaning. 9.Bring to fiing area and heat for 7 hours at 1,000 degrees centigrade. 10. Cool for one day. 11. He will put his signature. Wax. 12. Fire again for 10 to12 hours depending on colors or design. 13. Add some design, roots (if needed), pricing, display or deliver. 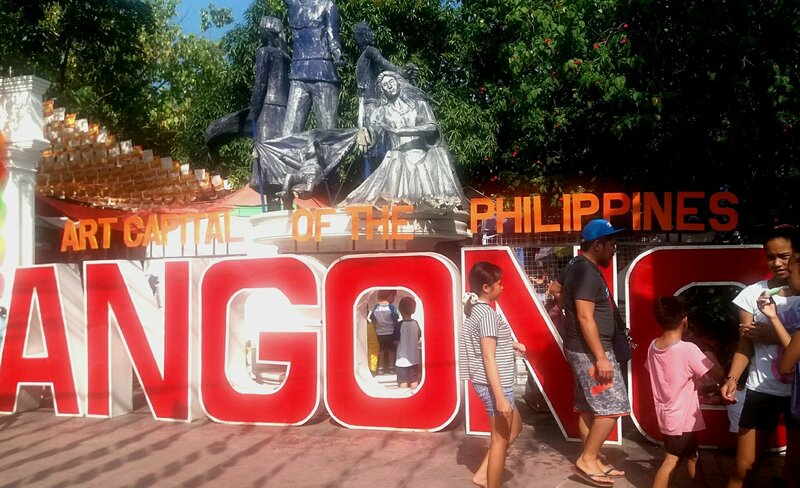 Angono, dubbed as the Art Capital of Philippines. Ever wonder why? Because they are legendaries. Giants roam around, artists are all over the places, ancient drawings called petroglyphs are in the stone shelter and even vandals are nice to view in the manmade cave and cactus, the walls of street arts, the cafe’s and restaurants with the touch of art, the cuisine harmonized in arts. Then the people who are so inclined with art. The families are artists, from the lolo’s to apo. And the best thing, they support their artists. Three legends that caught me during the phase 2 of NCCA- PIA Heritage Caravan in Calabarzon. These three got big influences to the town and its people. 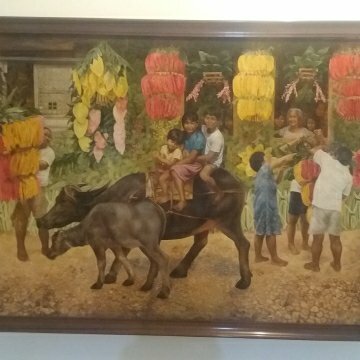 It greatly define what Angono is about art. Giants or Higantes festival now a popular fiesta activity of the town. The higantes are made from paper mache that measures four to five feet in diameter and 10 to 12 feet in height. Higantes was influenced by the Mexican art form of paper mache effigies. Wonder why the giants are in akimbo? Because they represent angry and authocratic Spaniards during their colonization in the Philippines. Stories have it that a town folk made an angry giant effigy. Because of its huge size it draws attention of people during those times. After a while the they shouted for a woman giant as couple. Then children of these giants, and then other effigies followed. Now they are in parade as part of annual fiesta celebration of the town. He’s National Artist because of his influence and contribution to visual art that include paintings and mural paintings. He is one of the discoverer of petroglyphs dating back BC. Along the Poblacion Ibabaw street of Angono is the avenue of array of replicates of Botong’s works. Its the walls and fences of arts, the murals of Botong mastery and legacy. His house is within that street. He was born here. It is where he started his name as a painter, muralist where he grow up and become a big name in visual arts. Few of his works and collections are displayed here. Jose Blanco, also known as Pitok is a fisherman, in fact his wooden boat still in display their museum house. But he’s also the big influence to his wife Loring, sons and daughter (Glen, Noel, Michael, Joy, Jan, Gay and Peter Paul) to love painting, then it goes down to his apo’s and then to his neighbors, and to the disciples of this art. Visiting the Blanco’s house museum of painting will surely amazes everyone. The array display of paintings is not just displays of greatness, mastery and artistry but also the stories of the family: how Pitok influence his family to love the art; how his children started to paint; how the children influence the mother; where they went to get ideas; what subject they are inspired to paint. The museum is not just a house of paintings, its also workshops to mold and hone young artist, dreaming to be a painter, a place where artists gather and share stories, a place to get inspiration. When was the last time you ride in your Apong Lakay’s ‘pasagad’ being pulled by his strong carabao. I doubt millenials have slendor experience that. But we, bagets and jeproks at that time have so much to tell. Those were the days when carabaos and cows are the real kings of the road– umm, well, in the uncemented road. Today’s era is so much different now, the noisy trucks and speedy cars and big buses are the kings of the road now. Let’s escape from the traffic, escape from speed, from the noise and the view of the buildings. Lets bring back the time when you are enjoying the journey while riding the carousel and your neighbors are singing kundiman in guitar and ukulele. Where we call it journey and not a travel, where we call it ride and not a transportation. Villa Escudero. In the border of Quezon and Laguna provinces. Its where the luxury from nature is brought to you and the experience of what it’s like living in the past. When music and dancing is harmonized with the breeze of the wind of the hills and sways like the water flowing in the falls. Its an exhilarating experienced for me to ride again in carabao drawn vehicle and listening to the folk songs while on traverse to the waterfall. And my goodnesss, feels good to eat again with bare hand. The way we were. The original Filipino food are served and eating in the river. Then the water you drink are the original mineral water that you fill it up from clay water jar. The way we were. Oh yeah, I’ve said it already. But can’t help it. Why? Because the music of rondalla still lingers in my ears now. As if I’m in hammock relaxing under the shade of the tree. 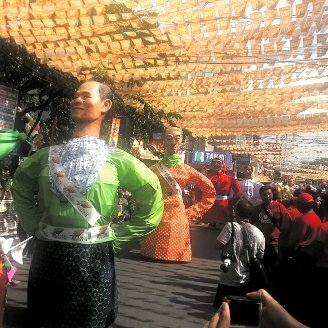 And while my eyes are close I still watch the cultural dances of different regions in the Philippines. Oh, the performance is so great. The sways, the steps, the colors, the dresses and the laughters. I have to sleep now and in my dreams the grandeur nature and the nostalgic experience will be reminisce again. What? How about the collections of religious artifacts that were displayed in church replica and the vintage collections of world war 2, and the mansions of the Escuderos’ who are still grand standing in the place? Why I wouldn’t write about it? Oh, let other explorers, caravaners, writers and bloggers featured them. We’re many participants in the Heritage Caravan of NCCA and PIA in Quezon, Laguna and Rizal or the CALABARZON, the phase 2 of Luzon Cultural Promotion with the theme Sulong Luzon, Yamang Kultura’t Sining”. 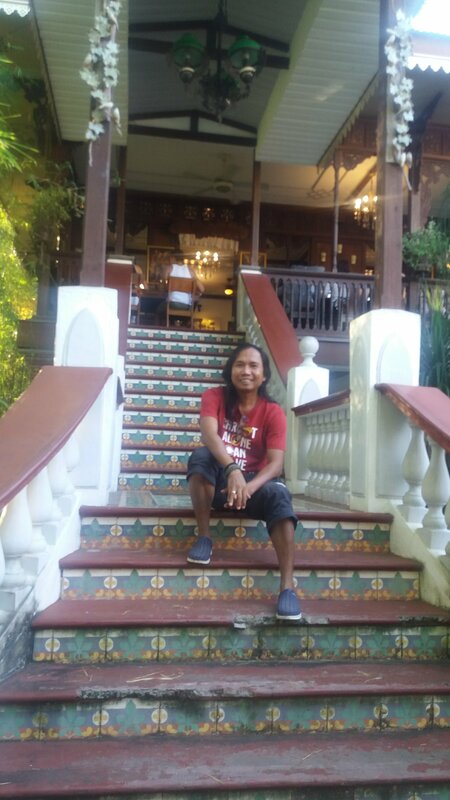 It was founded in 1880’s by Placido and his wifey Claudia Marasigan. It said to be a sugarcane plantation but converted by their son Arsenio as coconut plantation in the early 1900’s. And in 1981 it was open to the public. It is now a prime tourists destination for locals, overseas Filipino and foreign visitors. Villa Escudero is the showcase of Philippine rich cultural heritage, offering the glimpses of its history, dress, cuisine and nature’s lavisgness. My heart was left in Villa Escudero. Staying out of town now is not just about pristine nature, serene beaches and amazing mountains. What’s in? Heritage. It’s all about the feeling of living in a period of time. Let’s say 18th century. Isn’t that reminiscing cool. 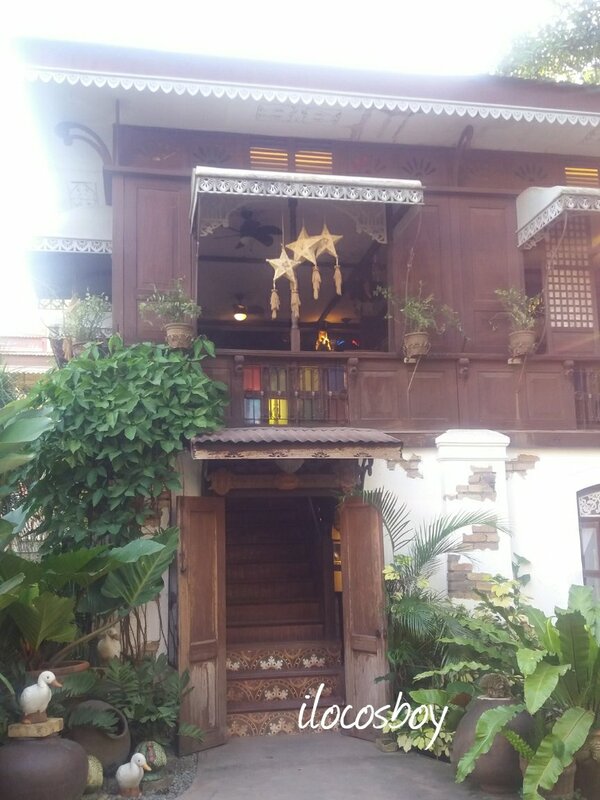 Sulyap, a boutique hotel built from materials olden materials like the woods, bricks, tin sheets among others. It is located in San Pablo, Laguna. It’s also a museum gallery of the owner’s collections of old religious artifacts and statues, vintage bottles and kitchenwares, old things used by the early people. Mr. Roy Impalmado, the architect of the houses and buildings and curator of the collections said its his actually his passion of collecting artifacts, remnants and things of the past. Sulyap, indeed the window of heritage and the window of the past. Staying in the bahay na bato/kahoy brings back you to the early period of Filipino living. You stay vintage-themed house and tour to the museum. Enjoy the nostalgic ambiance and reminisce the past in the almost two hectares area with the function hall, restaurants, cafe and hotels. “Sulyap kasi… sulyap sa nakaraan,” Roy said in an interview. He said the first project is the museum. So while in the museum he dreamed of old houses and sketch and that’s it, the rise of Sulyap resort. “I want them to experience the past in modern times, with the use of modern living.” He said. The restoration and refurbishing might be costly and time consuming but its all worth for him. So the next time you want the snapshot of the past and relive the way our old folks way, taste the past in Sulyap. Naay man, you say when the cup was handed to you that was filled with lambanog or coconut nectar wine. Pakinabangan po, the tanggero and people in the crowd would say and you will drink the wine made from coconut sap from the cup. 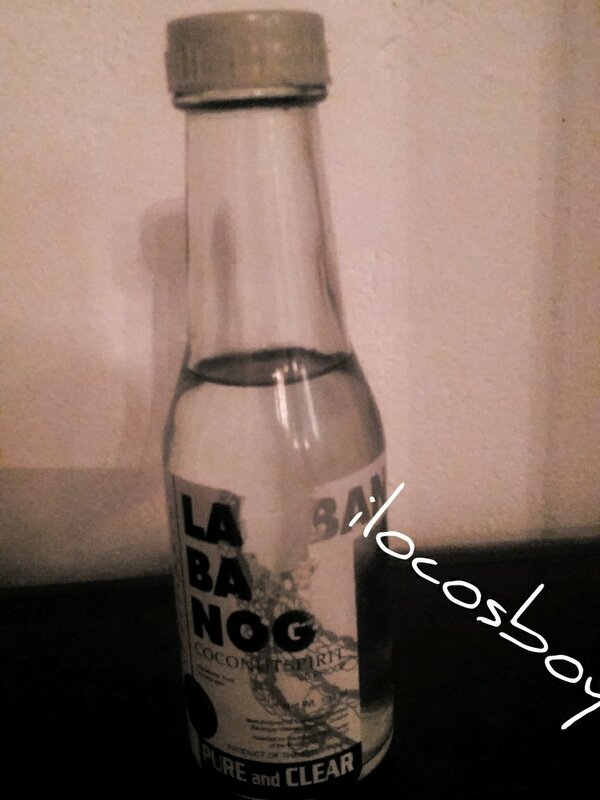 This is the tradition/practice that lies within the strong essence of lambanog during the olden times of Quezon province. When umpungan (gathering) is held, men and women alike, including olds and children gather together in a such celebration. The lambanog wine will become the symbol of bonding and camaraderie of the community where the common cup will be pass to each and everyone present in umpungan. Its like the damaan of tribal community of Ilocos where a cup of tapey (rice wine) will be pass to the elderly relative and drink the wine during the wake of the dead. But in damaan the relative who hold the tapey should utter some impression to the deceased relative before drinking it. In umpungan, not necessarily a celebration or feast. It could be just a gathering of the community, like bonding, talking with each other. This is the tradition that the provincial government of Quezon wants to revive in some special occasion through the tourism department. During the heritage caravan of media practioners and bloggers from Region 1, 2, 3, 4 and 5 including CAR, the tourism officer explained their desire to revive the practice. If there’s one intact edifice of watchtower in the Philippines, one of them can be seen in barangay Bateria, San Esteban, Ilocos Sur. Just like all the moro watchtower this is located along the coastal area, just near the port of this town. 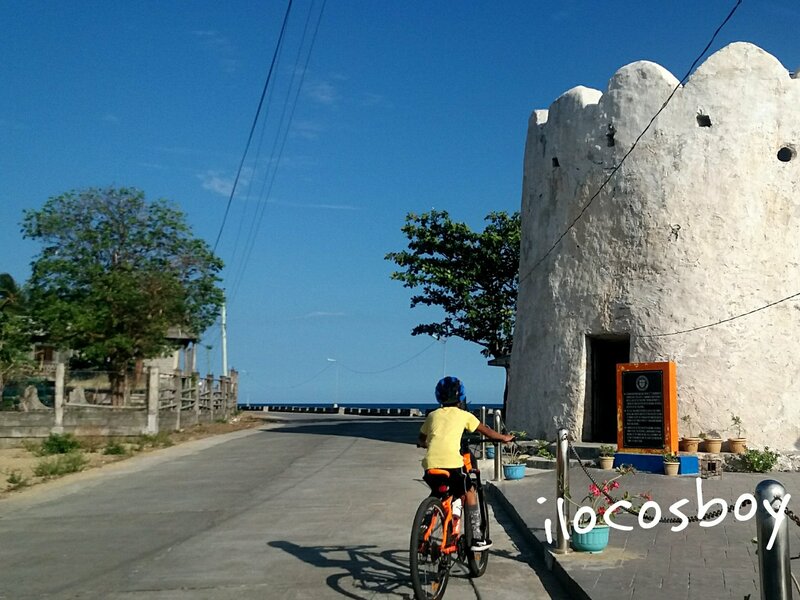 Ilocos have many watchtowers but many of the structure are damaged through the course of time. The government is trying to rehabilitate some of them. This watchtower was believed to be built in 15th century by the Spaniards and the oldest landmark of the said town. The moro watchtower was built as part of defenses of the village of that time against moros or pirates who used to ransacked the people and goods at that time. The was builr in round shape with a height of around 7 meters. There’s one entrance and the walls facing the sea have holes where the canons are placed there. In fact, the name of the barangay which is Bateria gots its name from the row of canons at that tower. Today, the site was already as tourist destination by the the Philippine Tourism authority and was also listed in the National Historical Institute of the country. Though renovated and flourished with the park and the stairway going up the tower, only few visitors were still going here maybe because its not yet known to the tourists. Still, those who knew the place had their piece of historical pose in the tower. Dadapilan refers to the simple machine use by sugarcane farmers to extract the juice from sugarcane stem and made it into different products such as vinegar, sugar, molasses, wine among others. During the early times dadapilan was so common in every backyard or front yard of the farmers. 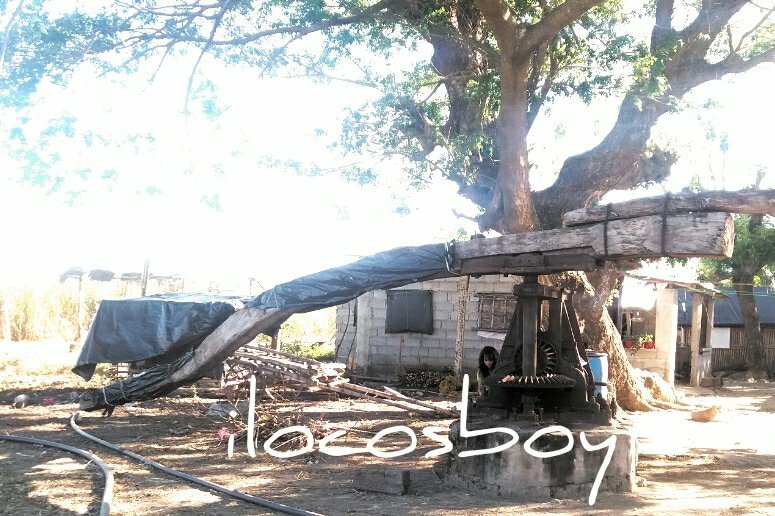 The early dadapilan consists of two big trunks of logs with teeth serving as grid, the sugarcane will be placed between these trunks and will be pressed as the carabao or cow move in circular. 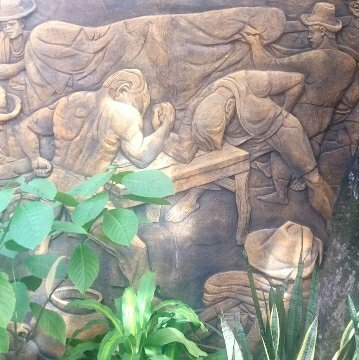 The modern dadapilan now is almost the same though the trunks were replaced by iron (as seen in the photo). Though sugarcane farming still exist but very few dadapilan now exist. Some are still being used in extracting the juice but mostly now are made into fine furniture like tables, chairs, cabinets and display item. Farmers now are using modern juice extractor powered by electricity. The process of extracting of sugarcane is called panagdapil. Ilocano’s of Ilocos Sur have the products from sugarcane like suka or sukang-iloko, basi or sugarcane wine, balikutsa or sugarcane candy, tagapulot or moskovado and many more. Each of the product have their own process to make the product. Some delicacies are made with the help of the sugarcane. Dadapilan is a tradition to Ilocano. This has been here long time ago and have been part of its history. If could be a synonym to ilocano culture.